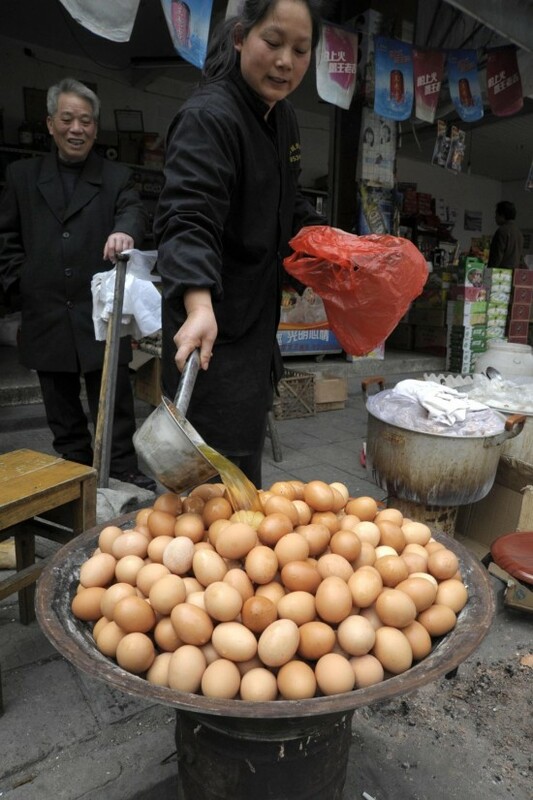 While anything boiled and soaked in boys’ urine doesn’t sound tasty at all, Virgin Eggs are considered a Spring delicacy, in China’s Zhejiang Province. In most places, Spring is all about the smell of blooming flowers, but in Chinese cities like Dongyang, the streets reek of urine. No, the smell doesn’t come from drunk people reliving themselves in dark corners and back alleys, but from the large pots of Virgin Eggs. 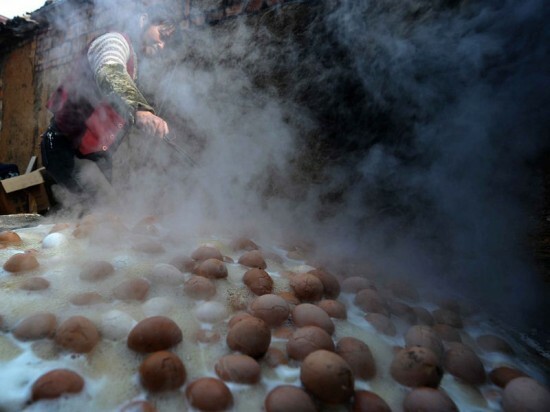 Called tongzi dan (literally “boy egg) they are an old culinary tradition listed as part of the Dongyong cultural heritage, similar to tea eggs – hard boiled eggs soaked in soy sauce and vinegar. The only difference is Virgin Eggs are soaked in urine. Vendors collect virgin boys’ urine from elementary schools around the city and use it as a main ingredient for their unusual street food. Plastic barrels are placed outside the classrooms and boys are reminded to pee in them, unless they are sick. The pee is then used to boil eggs, their shell cracked to allow the flavour to slip through, then soaked in urine and boiled again. The whole “cooking” process takes an entire day. I know it sounds disgusting, but some people say they “have the taste of Spring”, while others claim “they’re so delicious that I could eat 10 a day”. If Virgin Eggs sound like something you’d like to try, you’ll be pleased to know locals are planning to export the delicacy so “people outside China to fully appreciate the delicacy of our cuisine”, says local chef Lu Ming.